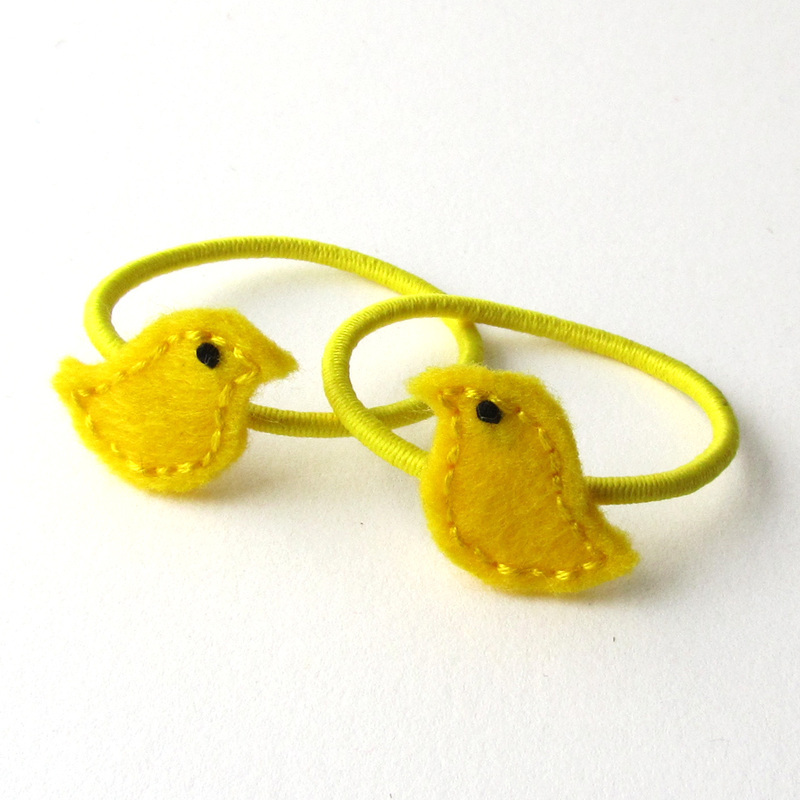 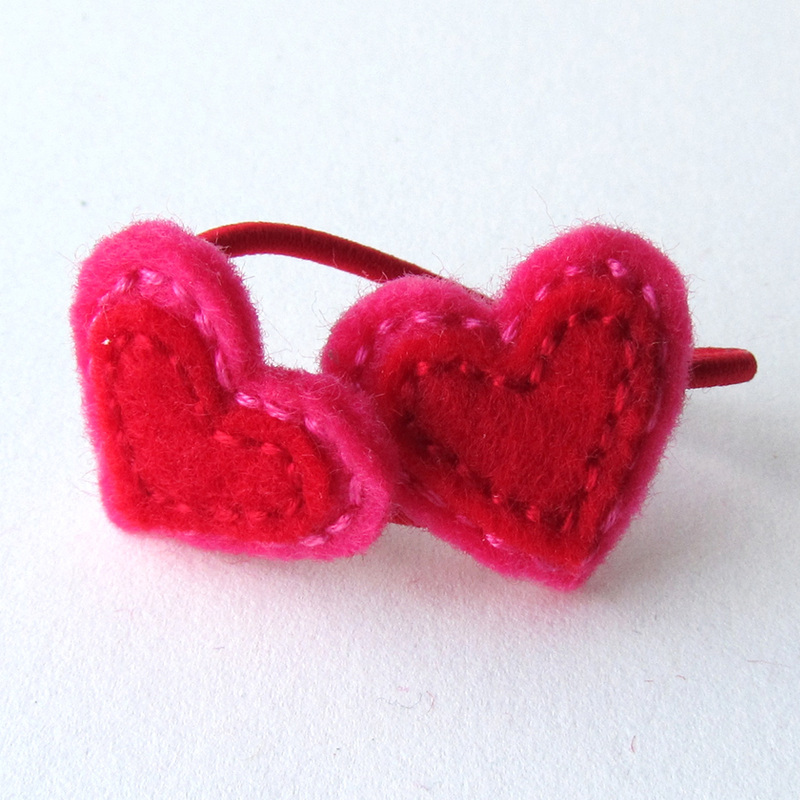 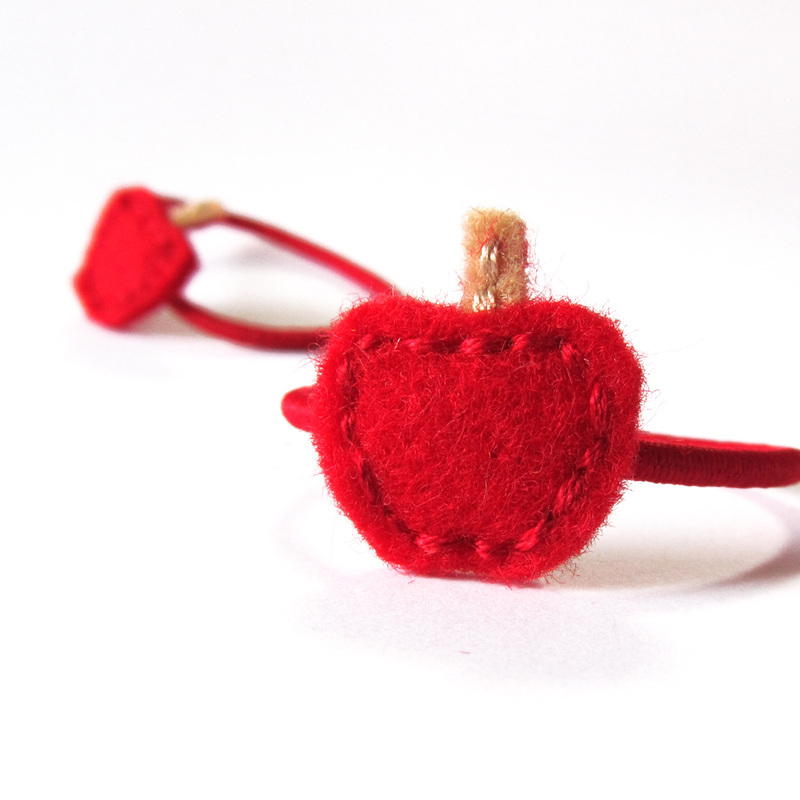 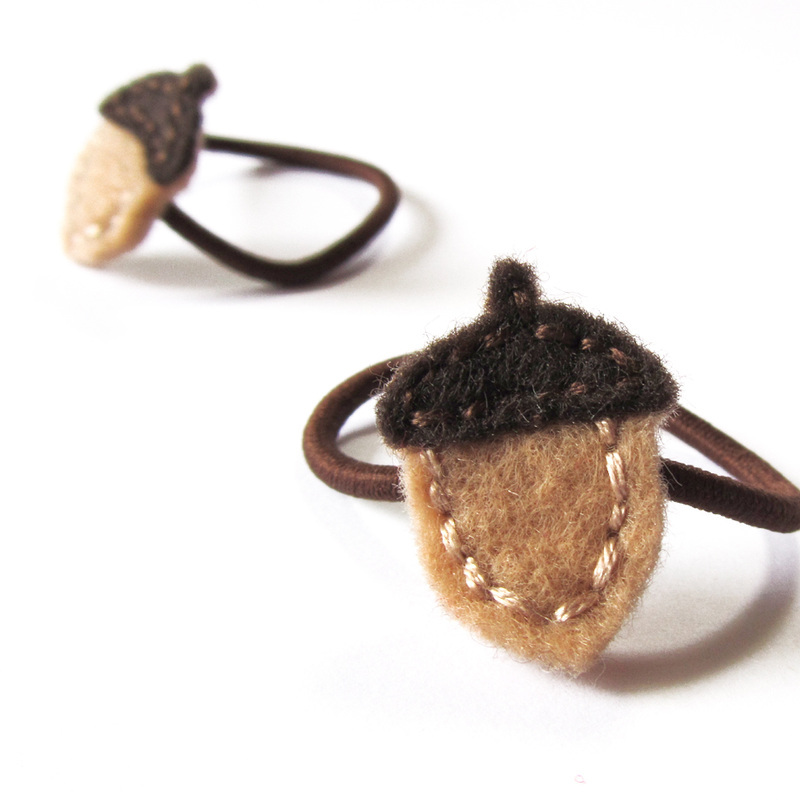 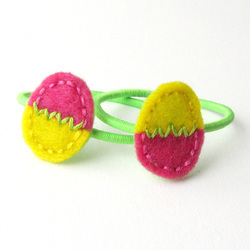 Inspired by nature, these hand sewn felt hair elastics will look adorable in your little girl's hair (or yours!) 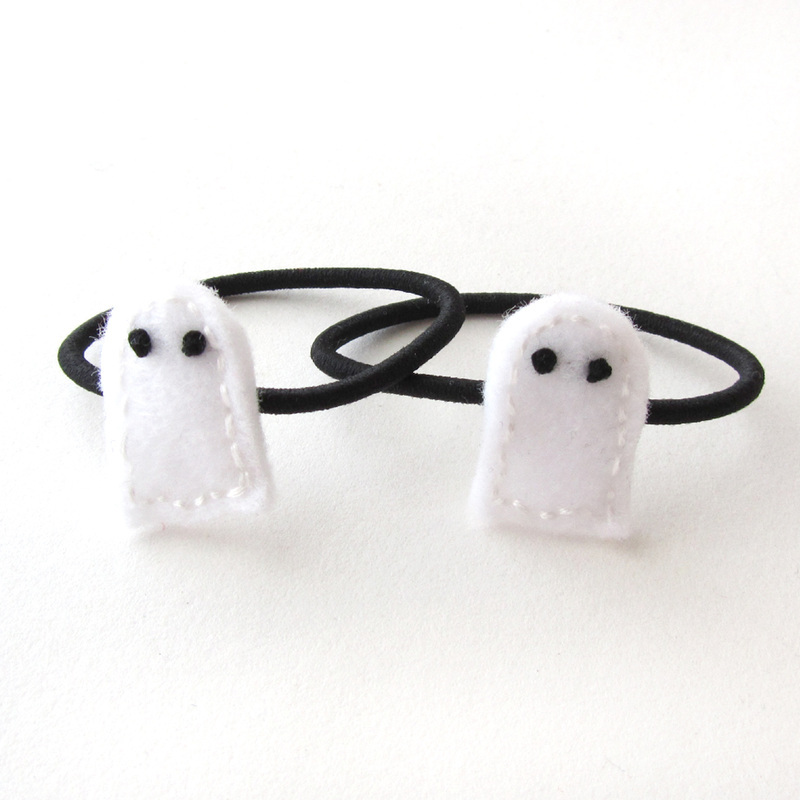 and are perfect for ponytails and pigtails. 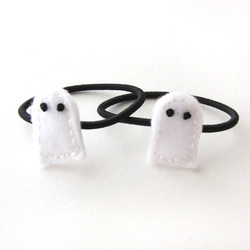 A great hair accessory for all ages! 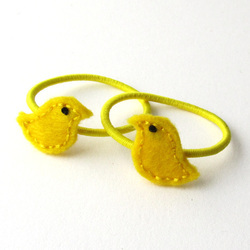 Each design is hand cut from an original pattern out of eco-fi felt, entirely hand stitched with cotton embroidery floss and securely stitched to a no-metal hair elastic. 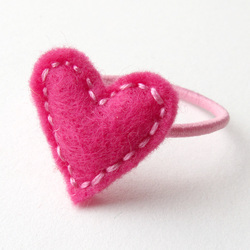 The stitch I use is not a simple running stitch that creates a dashed line, but a backstitching technique that creates a solid line of stitching. It does takes longer to do, but the end result makes it not only extra durable, but extra pretty too! 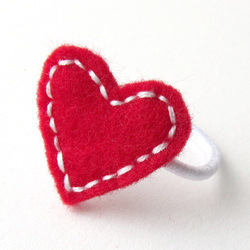 With several designs and eco-fi felt colors to choose from, the possibilities are endless!